I was re-reading Berserk again and I noticed that Void's arms are insanely long looking. Or, he could be using his God Hand powers to put his arms where ever he wants them to be. His arms are indeed insanely long. He's also got 12 fingers (6 on each hand). I'm not sure why you're making a thread about it though, the members of the God Hand are all freaks. Yeah it's like saying : Slan has got HUGE breasts, Zodd has got a big arms, skull knight's horse has got a long neck, HOOOOOOOOOO the DS is huge too. Come on, she's well endowed but her breasts are correctly proportioned, they're not freakish. Same goes for your other examples, they're not as extreme as Void's arms. Slan's "hair" on the other hand... I wouldn't put my hand in there, just like I wouldn't put it on a sea anemone. I just found it strange that this was the first time that I noticed that his arms were that long. I hadn't noticed he had 6 fingers on each hand until you mentioned it either. And I suppose it didn't require a thread. But I felt like sharing. You think his long appendages stop with his arms...? Why do you think he wears that all-covering cloak? So Void is the father of the monsters of the Qliphoth(sp?). He'd be the only one with the size to match Slan I suppose. Well SK's horse itself is quite a mystery, but that's a topic for another thread. Now about his neck, I believe the answer lies in this picture. 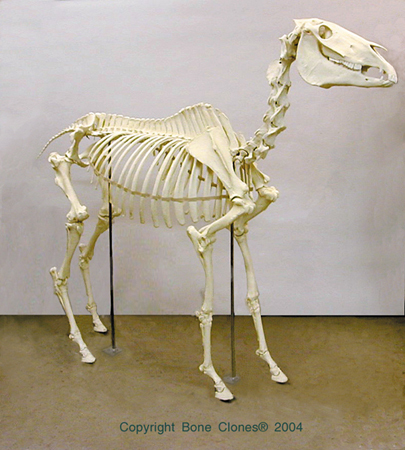 Without enough flesh around it (that a normal horse would have), it looks instantly strange, too long/thin and mobile. Hehe, it's not rare that people miss details like these. I'm sure you'll find a lot more things you had missed as you re-read the manga in the future.